KPAC Sunny passed away on April 18th following an heart attack. He was 72. 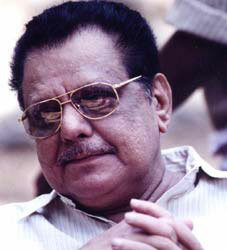 He was active in stage and he entered film world in 1970. KPAC Sunny has acted in more than 250 films. He had worked in a number of theatre groups in the state such as Kalanilayam, KPAC, Attingal Desabhimani, National, Nalanda and Vayalar Natakavedi. He had also authored a play titled â€˜Sneham Anaswaramanuâ€™.